Whether you are planning to get your own beauty project on the web or you’ve been hired to build a spa site for a client, you can get the job done much quicker and effectively by means of ready-made WordPress themes. In a showcase provided below, you can find pre-designed solutions suited for building wellness centers, beauty and spa salons, barbershops, yoga studios, meditation, and a number of other web projects. All of them feature clean and modern-looking layouts, adding a calm and tranquil atmosphere to the future web resources. A handful of pro customization options and ready-made demos are provided for a quick start of any web project of yours. Integrating most with drag-and-drop visual page editors, which allow even non-techies to build stunning beauty projects on their own. Most of the themes handpicked for this showcase include premium extensions, which lets you save extra cash on the integration of pro features into your site. Whether you need to build a website that will promote your business to the wide web community, or you need to launch a site featuring a fully operational booking system, with the help of this collection of spa & massage salon WordPress themes from ThemeForest attaining the desired results will get way quicker and effortless. As you select the perfect theme for your online project, make sure that you check the way it looks and feels on the free demo version. 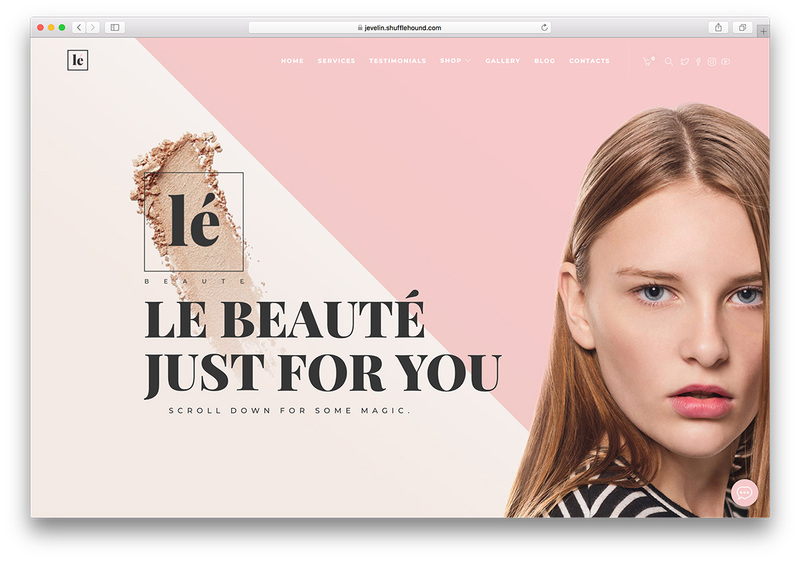 Getting started with a beauty-related website or an eCommerce project gets easier with ready-made themes. If you do not like the idea of building a complete and fully active website from scratch, you came to the right place. Here we bring you a collection of the best spa massage and salon WordPress themes which you can use however you find them fit your business best. Starting with Divi, one of the best multi-purpose theme on the market, you can experience the freedom you deserve when putting together your dream page. With preset demos, you can quick-start your online business presence and start taking it to a whole new degree. When working with Divi, you will notice how quick and straightforward the process is. Of course, there is no need to know how to code to get a chance to succeed online. 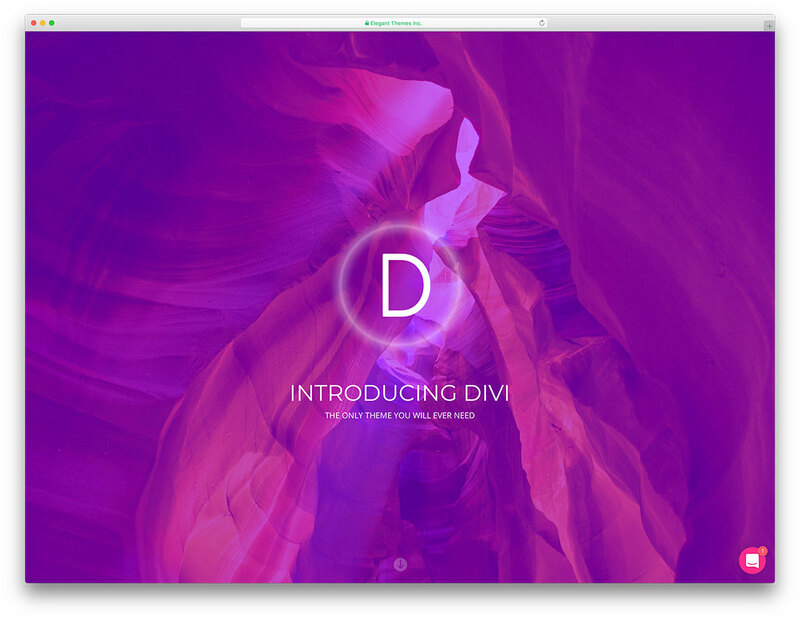 Divi is very beginner-friendly, as well as well-liked amongst professionals. 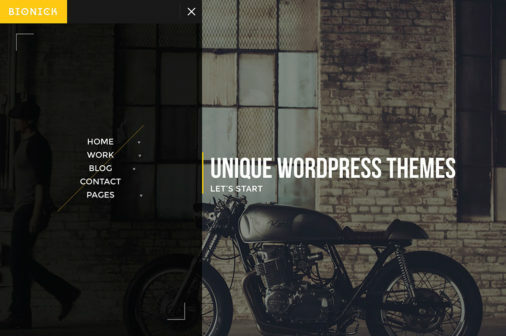 Jevelin is another multi-concept WordPress theme that knows no limits. You can truly use Jevelin for any business regardless of the niche and industry. Today, you can employ Jevelin as a spa massage and salon WordPress theme but tomorrow, you can use it for something entirely different. While you can take ready-to-use demos to your full advantage, you can always implement your signature style to Jevelin’s preferred web design and enrich it with your personalization. Thanks to the drag and drop function, coding and doing any other advanced tasks is a thing of the past. You also do not need to worry about mobile-readiness, cross-browser compatibility and search engine optimization. Jevelin follows all the modern trends and practices all the latest tech regulations to make sure your page stays fresh all the time. 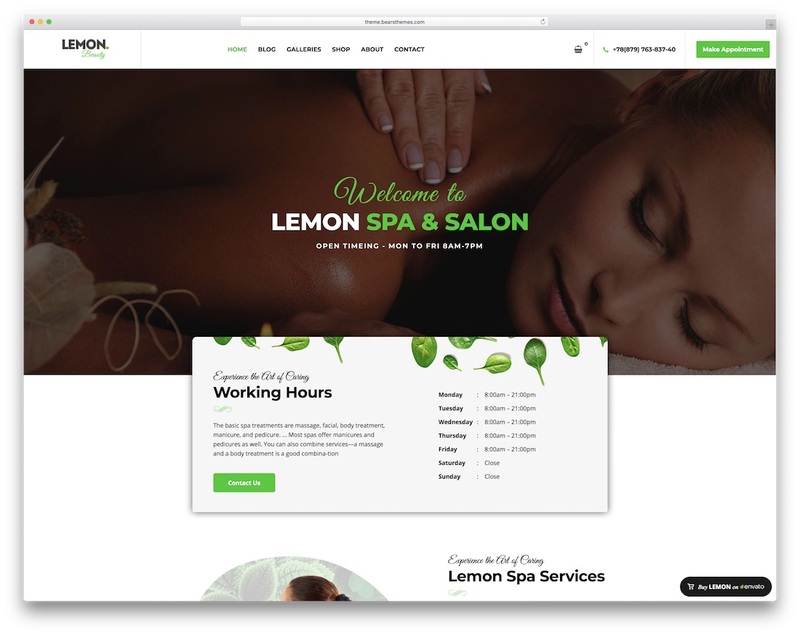 With an as cool name as Lemon is, you can expect an ever cooler WordPress theme for spas and massage salons. Lemon is a multi-purpose theme that applies to almost any business in the beauty industry. With four pre-made demos (more to drop! ), you can immediately start the building process of your compelling new page to push your services above and beyond. Lemon is optimized for insane performance, search engines and comes fully responsive to work on mobile, tablet and desktop devices like a dream. All bunch of inner pages, as well as premium plugins also come part of the Lemon bundle for your convenience. If beauty, health and everything related to it is what you specify in, then Lemon is undoubtedly the WordPress theme you need. Go with the predesigned material as is or do things your way and stand out from the crowd, Lemon allows you to take both paths. On top of that, the theme is also compatible with WooCommerce for you to start selling products online and expand your current business with something unique. Jacqueline is a premium-quality WordPress template combining advanced functionality with a refined design. You can use this theme in building spa, beauty, wellness centers, and massage services websites. A number of pre-built pages will add a more informative yet creative presentation to a web project. Additionally, you can easily apply changes to the layout without touching a line of code using the Visual Composer plugin. Terra Atma WordPress theme is best suited for building websites representing beauty shops, spa centers, barbershops, and massage salons. A well-balanced, attractive design of the template makes it an ideal solution for presenting the audience with the core information about your business in a user-friendly manner. By means of the Revolution Slider, you will be able to captivate the users’ attention with the featured content once they land on a web page. Massage Therapist is a modern and functional WordPress template that is optimized for a flawless performance on a number of handheld devices. You can choose the most optimal solution to start your project and have a perfect presentation of your project. The customization will get effortless owing to a selection of shortcodes and an integrated Visual Composer. As the name implies, Beauty Pack WordPress theme is intended to help you get started with a web project related to beauty and healthcare industries. There are a number of demos included in the pack, which makes it way quicker and easier to get started with websites of spa centers, yoga studios, nail salons, beauty centers, etc. Also, you can use the Timetable and locations on map functionality of the theme to let your business get closer to the web audience. Grand Spa WordPress template includes 40+ pre-designed pages for representing beauty, spa and massage services in a visually stunning yet user-friendly style. Featuring an easy-to-use booking form, it lets customers choose a free date/time to book an appointment right on the web page. You can also use WooCommerce plugin feature of the theme to let you set up and handle a web store with ease. 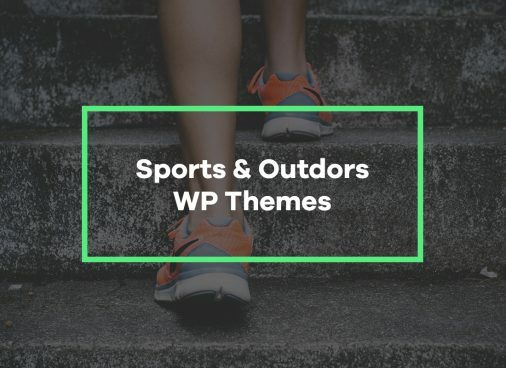 Wellness Center is a fully responsive WordPress theme for building beauty and wellness websites, which runs on the latest version of the Bootstrap framework. Bringing the desired look and feel to the layout is as simple as dragging and dropping various design elements within an intuitive Visual Builder. MailChimp support lets you grow the number of your email subscribers manifolds. Magna is an easy-on-the-eyes responsive WordPress template featuring a fully editable layout. A number of pre-built demos and 2 creative homepage concepts provide you with the possibility to choose the most optimal online presentation of your web project. You can use the premium Visual Composer and Revo Slider so that you can save extra cash on third-party extensions. Dream Spa is a professionally-crafted WordPress template, which will adapt to all screen sizes automatically, as well as look pixel-perfect on the last-generation displays. It is quick-to-install and easy-to-customize. You can expand the functionality of your site by using the Visual Shortcode Builder feature of the theme. Also, you can create unlimited layouts and customize options to your liking in a number of minutes. Aqua is a modern-looking template best-suited for building eCommerce projects. Featuring a minimalist layout style, it will bring the store’s offerings in the focus of attention. Thanks to retina ready visuals, the products of the website will have a luring presentation on the last-generation devices. You can showcase your highlighted services to the potential customers by using a number of useful features. In effect, your site gets high chances of obtaining higher conversion rates. A clean design of the Beauty Salon theme is intended to become a quick and rock-solid starting point of a number of websites related to the beauty and healthcare industries. Moreover, it features a fully responsive and dynamic layout. Tiled gallery page will also be a perfect match for presenting treatments, products, and services in an eye-catching style. Shortcodes and widgets let you manage the template just the way you wish. Beautyhouse is a modern-looking WordPress template suitable for websites representing services of beauty centers, hair style, skin care, and other salons. Additionally, you can use Layers Builder feature of the theme to obtain an ultra-high performance for your site. It is also WooCommerce-ready, making it possible to sell multiple products and services on the pages of your site. 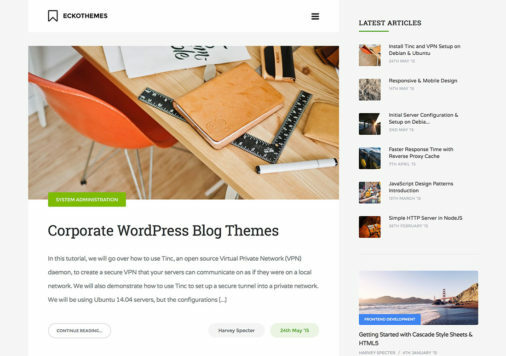 Bleute WordPress theme comes integrated with several demo versions that are ready to go live after a few minor adjustments. You can also showcase the services of your beauty salon using multiple service styles and unique layouts. Stunning galleries provide for an eye-catching presentation of featured offerings. Getting the theme you can save more than $100 on premium plugins. High-quality service and top-notch designs go hand in hand with Pur. Using this spa massage salon WordPress theme gives you the best bang for your buck when it comes to website creation. It is best suitable for resorts, yoga centers, holistic centers, salons, massage clinics and any niche related to wellness. Pur is responsive which makes it look good whether you view it on desktop or mobile device. The available demo material combined with all the other features and components, design opportunities are never-ending. Get away from the complexities of coding with its drag and drop builder and customize Pur’s preferred web design however you see it fit your business best. On top of that, Pur also offers all its users a 30-day money back guarantee, which is not very common in the WordPress themes selling market. Pamper your clients with a website theme that highlights relaxation and peace. Helens is the massage salon WordPress theme that you need to sort out your online presence. Also, it is a well-designed template for therapists, masseurs, dermatologists, physiotherapists and other specialists on the health and wellness niche. All layouts look stunning on either desktop, tablet or mobile phones to make sure all your potential clients get the most out of your online presence. Helens is built with modern technologies with a pixel-perfect design. It features unique tools like Kirki and Unyson to ensure UI and UX needs. In addition to that, Helens has four homes, six blog types and nine portfolio designs. Customer support is also quick, devoted and steadfast. You only need to check out Helens’ live preview page and you will be hooked forever. A stylish and modern layout of the Kendall WordPress theme. You can also start you own attractive web resource representing beauty studios and spa salons by availing this theme. It features functional presentation of pages for a more captivating showcase of products and services a business has on offer. You can start your own functional website in the fastest time possible by adding stunning portfolios and beautiful inner pages. Spa Lab WordPress theme is designed specifically for wellness, meditation and yoga centers. You can start building a captivating yet powerful web project by downloading the essential and advanced features package. Also, you can start your own webstore by using its WPML-ready and WooCommerce functionality features. 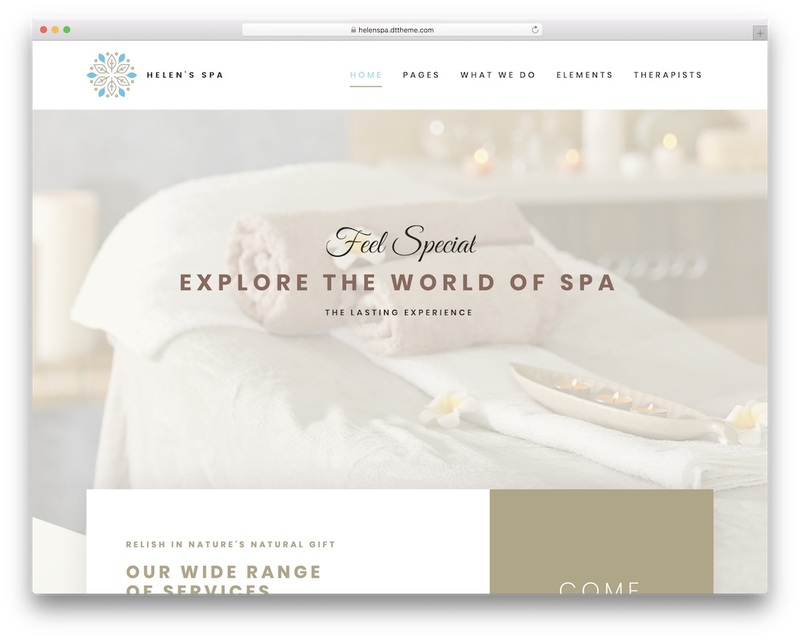 Which of the listed spa & massage salon WordPress theme do you find the most effective for a quick launch of an online project? What features of ready-made themes do you think are the most useful for building beauty and wellness sites?